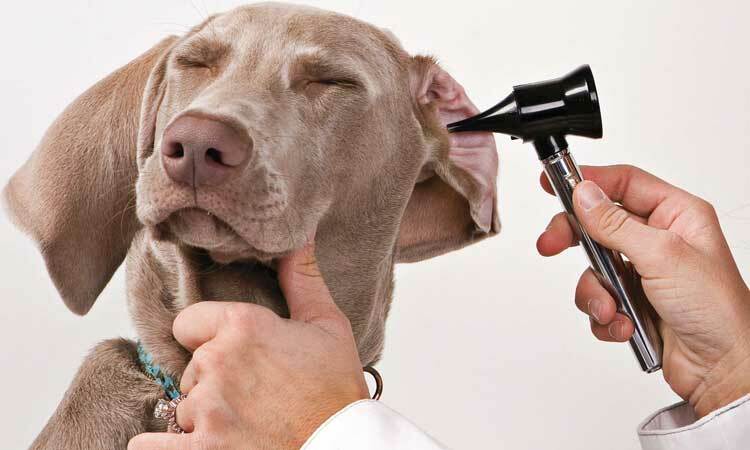 Are you in a situation where you are wondering how to treat dog ear infection without a vet? Worry no more as the contents of this article will guide you through it. In it, you will find easy to use home remedies for dog ear infection, how to use these remedies to make homemade treatments as well as some over the counter remedies appropriate for your dog’s ear infection. Active dog ear infections can spell misery to your loving pet. 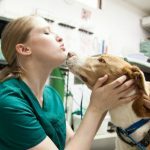 Before conducting any home treatments, it is important to ensure that the dog’s eardrum is not perforated as if it is, treatment will have to be done by the vet. The severity of the infection also determines if home treatments are okay. In the absence of a veterinarian and in case you are not certain if the eardrum is ruptured, avoid remedies that require draining liquids into the ear. Instead, use a cotton ball to wipe off the infected ear. Having noted that, below are various home remedies for dog ear infection. Hydrogen peroxide is used in cleaning up dog ears that have been infected to help drive away the infections. 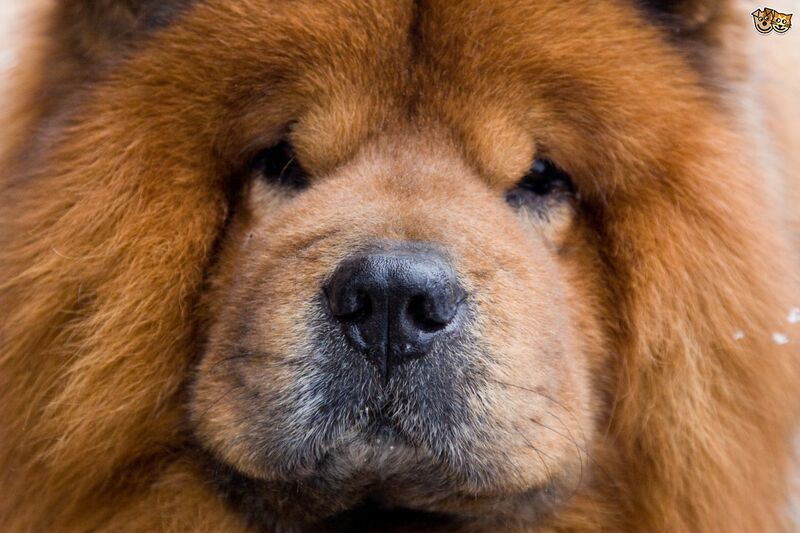 Although this remedy works in some dogs, not all may benefit from it. Trying home treatment for dog ear infections with hydrogen peroxide would do no harm though. Before administering any homemade treatment on your dog, it is important to ensure the ears are clean. This can be done by using hydrogen peroxide as an ear cleaning solution. It is ideal for a dog experiencing an active infection. Here is how to clean dog ears using hydrogen peroxide. To one part of clean water, add an equal amount of hydrogen peroxide. Using a bulb syringe, flush the dog’s ear using the now ready cleaning solution from above. Once the gunk inside the ears loosens up and dislodges from the ears, use a cotton ball to wipe it off. When it comes to using vinegar for healing purposes, it is best to settle for organic, raw apple cider vinegar. It is especially effective in relieving the itch that comes with dog ear infections. Additionally, its antiseptic properties help it to act as an antifungal, antiviral and antibiotic agent. Since it is acidic, it helps in restoring pH balance in the ear canal. When this happens, the infection causing microorganisms are eliminated and the infection clears with time. Apple cider vinegar should only be used where you are certain that the eardrum is not perforated. It is great in treating yeast infections in dog ears. Use distilled water to mix equal parts of water and vinegar. Using a cotton ball soaked in the resulting mixture, swab the ears. Start from the outer edge and keep going down as far as you can see. Change the cotton swabs as may be necessary and only stop cleaning when the cotton ball comes out clean. Use a dry cotton ball or washcloth to dry up the ear to avoid irritation and further ear infections. This home remedy for dog ears infections contains medicinal properties that help in clearing up the infections. It acts as an antifungal, antibacterial and as an antioxidant agent too. It is highly potent thus being quite effective. Crush two garlic cloves and put it in a glass vessel. Add to these some olive oil and let it steep overnight. Strain the mixture and using a dropper pour two or three drops of the homemade remedy in the infected ear. Use daily until the ear is healed. Witch hazel possesses many medicinal properties that make it effective in solving skin related problems. It has been used for centuries as a natural remedy for skin maladies and will work perfectly to eliminate dog ear infections. As a natural astringent, it will help to dissolve and clear up buildup of gunk in the ears. It also has a soothing effect and will get rid of dog ear infection pain while rejuvenating dry skin. Put a few drops of witch hazel into the infected dog ears to help kill bacteria. Allow the remedy to take effect and break down excess wax which could be clogging the ear. It is likely the dog will shake its head and the gunk will drain out. Use a cotton ball to clean this up. Aloe vera gel is known for its healing properties and ability to cure different skin problems. Its antibiotic nature will help in eliminating infection causing microorganisms as well as disinfect the ear. Aloe vera will help in getting rid of dog ear infection and the accompanying redness, itch, and irritation. It can be used alone for two to three times in a day or together with other natural remedies for dog ear infections. Warm up some aloe vera gel. Put a teaspoon of it to each of the affected dog ears or use a cotton ball to clean up the infected ears. This is yet another home remedy for dog ear infection lauded for its antibacterial and antifungal properties. Below is how to use it in a homemade remedy for dog ear infection. In a saucepan, add about two tablespoons of organic coconut oil. Add to this two cloves of garlic to enhance its healing power. Simmer until all the oil melts and allow the remedy to cool down but do not let it solidify. Using a dropper, put three drops of the resulting remedy into the affected ears. In the absence of a dropper or where you don’t want to drain oil into the ear, you can use a cotton ball to clean up the ear using the same remedy. Black seed oil is an analgesic and helps to relieve or reduce pain sensation that may accompany ear infections. It is also antiseptic in nature and helps in not only destroying microbes but inhibiting their proliferation as well. Simply put a few drops of the oil into the ear and massage it in. use a cotton ball to clean up the gunk that is eliminated and continue treatment until the infection clears up. While in the above section we have mostly dealt with home remedies for dog ear infections in their natural form, it is also possible to use more than one of the ingredients to increase the efficacy of the remedy. They can thus be used to make homemade treatments for the infections. Below is a recipe for a homemade remedy for dog ear infection using rubbing alcohol, boric acid, white vinegar and an antiseptic solution. Into an applicator bottle, pour 180ml of rubbing alcohol. To this, add 7.5ml of boric acid and shake the mixture thoroughly. Add to this 60ml of white vinegar and shake. Follow this up with a betadine antiseptic solution and shake one last time to distribute the ingredients thoroughly. Once the solution is ready, pour enough of it to fill in the ear canal and massage the ear. If your dog is sensitive to cold things, you can warm the solution before applying it on your dog. Use a cotton ball to clear up any resulting mess and apply daily until the infection clears. Hydrocortisone creams for itchy and irritated ears. Zymox Ear Solution which is highly effective against bacterial, fungal and yeast infections. The solution is said to react with the organic matter to form its antimicrobial properties. Cleaning of the ear prior to its use is not required as it could interfere with enzyme activity. Zymox Otic pet ear treatment with hydrocortisone has been lauded as quite effective in clearing ear infections. Well & Good Dry Ear Powder for Dogs is great for painful, irritated and uncomfortable ears. It helps in absorbing moisture too which enhances overall dog ear health. As indicated earlier, not all cases of dog ear infection are suitable for home treatment. Where the infection is so widespread and the eardrum is perforated, leave the treatment to the vet. Before administering any homemade treatment, ensure that the dog has been looked at by the vet and if they give a go-ahead for home treatment, use any of the recommended treatments above. In case after a number of days no improvement is seen, take your pet back to the vet. Also important to note is that dog ear infections can be prevented thus reducing the likelihood of recurrence. Below are some tips that can help. Feed your dog an appropriate diet to help prevent leaky gut which could lead to yeast infection in dogs which are a major cause of ear infections. Keep the dog ears clean especially for breeds whose ears hang down as these are prone to trapping moisture and debris which exaggerate the problem. Ensure that you dry the ears of swimming dogs thoroughly to reduce the chances of infection. Know your dog’s allergic triggers and keep them protected against them as these reactions could trigger infections. Treat ear mite infestations in time to prevent them from developing into ear infections. Remember to always contact your veterinarian whenever you have concerns about your pooch. It is better to be safe than sorry.